Two is one and one is none but one is better than none. These sayings are particularly relevant when it comes to being prepared. So, which is it? Yes. Answer this one for yourselves. I occasionally am asked the question "Why do you carry a knife? ", with a puzzled look and a condescending tone, Now this is a question I can answer. The first thing I want to say is " Really? Is this a serious question?" But I don't. For those of us who truly desire to be self sufficient and a resource to our friends, family and neighbors the answer is blatantly obvious. Carrying a pocket knife with you everyday is just a small part of being prepared, but it's a very important part. Back to the question... Why? I don't know that I could adequately clarify all of the reasons without making this blog post much too long, but I'll list a few. There are of course the basic answers like opening boxes and packages. Then there's the motivation of self defense. Being someone who desires to be always and all ways prepared a knife is a basic essential component. 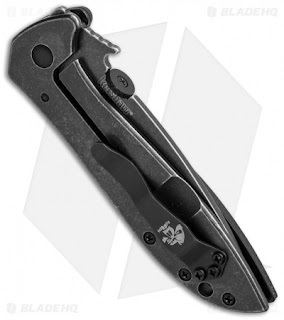 But the situation that I use as a basis for the EDC knife that I carry goes back to a story that I heard from 9/11. There were several people trapped in an elevator on one of the high floors of the towers. The power had gone out and they were stuck. One individual in the elevator had some drywall tools including a trowel. They were able to pry open the elevator doors and use the trowel to cut through several layers of drywall and escape. As the story was told; I understand that they were barely able to escape the building in time just before it collapsed. A tool that is not worthy of this kind of task is one that I'm not willing to carry with me every day. I have a few other requirements that an EDC knife must meet as well. It must be made of a quality steel (440c is not good enough by the way) and quality construction. But NO it doesn't have to be Elmax or even S35VN steel. It must fit my hand well and be a design that I like. It must have a clip or drop point and I must be able to open and close it with one hand. It must have a pocket clip that allows it to ride deep in my pocket, tip up. If's it lightweight that's a plus. A 3 inch blade for an EDC knife to me is ideal. If you live in a state that only allows a blade as long as a 2-1/4 inches, move somewhere else that doesn't restrict your God given rights and freedoms so much. Not even joking. The knife that I carry with me everyday, and the majority of my knives I got at www.BladeHQ.com. In most cases I have found that they have both the best prices and best selection, and are one of the top knife retailers on the internet. They are one of the fastest growing companies in Utah and have been on the Inc. 5000 list many times. Best of all, for me, they are in my own backyard. Their product photos are excellent and they have all the info you'll need to make an informed purchase. My EDC knife is still the Spyderco Manix 2 in transulcent blue. I have talked about this knife before in other blog posts. This is such a cool knife! It meets all of my criteria above. Plus, the detailed jimping on the choil and spine and the lanyard hole are icing on the cake. And Yes, I have used it to cut through two layers of drywall to escape a stuck elevator. J/K. I just got this knife combo from www.bladehq.com. The Emerson/Kershaw Tactical Kit. CQC-4K and tactical pen. This is my first Kershaw knife. I have heard lots of good things about Kershaw and now I finally own one. Yay! As you can see, this is a frame lock knife. This frame lock works in a similar manner as a lock liner (which I am not a fan of) but is nicer and easier to use. The CQC-4K can be opened easily by one hand with either the thumb disc or wave opener. Incorporating the thumb disk into the design of the knife to deploy the blade keeps this knife nice and slim. That little hook looking thingie on the spine of the knife will deploy the blade when pulled from a pocket if you do it just right. That's the 'wave' opener. The steel is good (8Cr14MoV), probably about the lowest quality I would personally recommend for an EDC knife. The lockup of the blade and the feel of the knife is SOLID! The very few negative comments that I could make about this knife are that, compared to the Manix 2, it's a bit heavy. 4.1 oz compared to 3 oz. Not a huge deal. 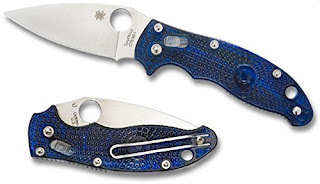 The CQC is also a 3" blade like the Manix 2 but it is slimmer. Some of you may feel this is a good thing. My take on this is that it feels a little small in my hand, again, compared the Manix 2, which makes it a little awkward to open with one hand using the thumb disk. I also prefer the slightly longer handle of the Manix 2. 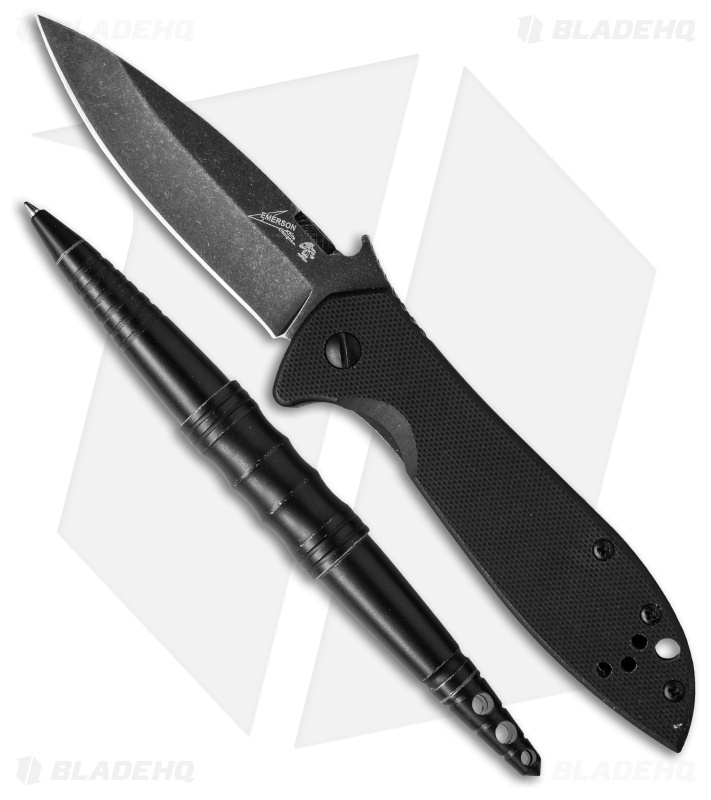 Overall, for the low cost of $29.95 for both the CQC-4K and the tactical pen I would say that this Kershaw knife is an excellent option for an every day carry knife particularly if you are price sensitive. So, whether you decide to spend $100 or $30 on an EDC knife consider that a knife in your pocket is worth two..... not in your pocket. Or more. P.S. - BladeHQ also has the best EDC flashlights too.